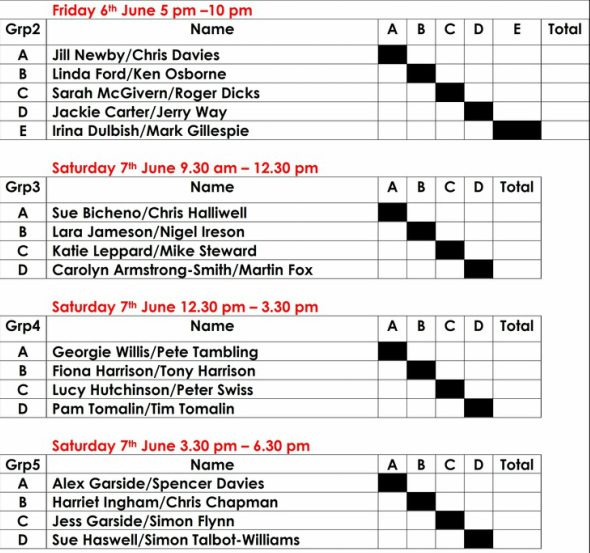 1 All group matches will be a 1 x 6 game set, 40 all will be played in all matches. 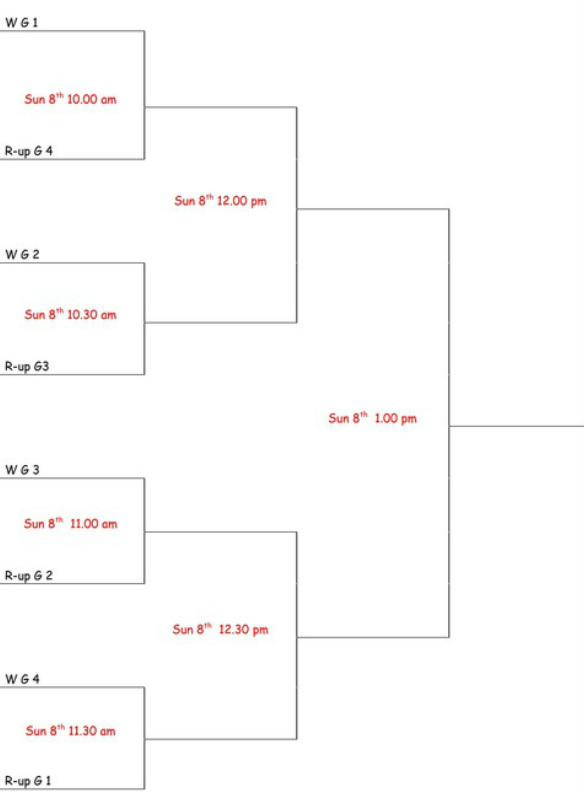 Play-off matches will be a 1 x 6 game set with the final being a 1 x 8 game set. Seacourt player’s handicap will be reduced by 3 points for home court advantage. 4 Players late on court are liable to be scratched from the tournament dependent upon the time allowed.